In the spring of 1919, Paris is filled with delegates working towards the Treaty of Versailles -- British diplomat Sir Henry Maxted among them. But before his work is done, he turns up dead outside a Montparnasse apartment building. The French police conclude that Sir Henry tripped and fell from the roof, but when his son Max is sent to Paris to collect the body, it quickly becomes clear that there is more to the story, starting with the beautiful woman whose apartment Sir Henry often visited. What begins as an innocent inquiry into his father's death soon leads Max into a perilous world of secret allegiances, international espionage, and double- and triple-crosses. 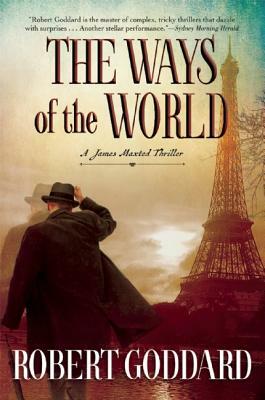 "The Ways of the World" is a vivid, visceral thriller at the crossroads of history, where one spilled secret has the power to change the fate of empires.